Take the right color pill with this post about the Matrix control in the RTC Report and how it can help you. But, this topic is not for the novice, so make sure you buckle up. This one topic will probably spawn a host of follow-up posts to explain parts, or expand on other possibilities. I even considered having this post broken out into the 5 parts above because it’s a lot of ground to cover. Note: You may want to review our RTC vs Classic data structure post here. Setup your filter request fields on them as appropriate. None have a DataItemLink linkage to each other. On the Date DataItem, we’ll set the DataItemTableView to limit the results to Months and ask the user for a Period Start filter. Note: This assumes all data is version 2009+ data. The Sales Invoice Line table got the Posting Date field in version 2009, so if your customer has older data, you’ll either want to populate the Sales Invoice Line Posting Date field with the header data or you’ll have to have a Sales Invoice Header item. Make sure to set easy to follow DataSetFieldName properties on each. Notice how MonthLoop has both the “Period Name” (aka Month Name in our case) and the “DATE2DMY(“Period Start”,3)” function (Year integer). If your customer wants to run the report over the course of multiple years, you’ll need that Year value to differentiate one January from another. 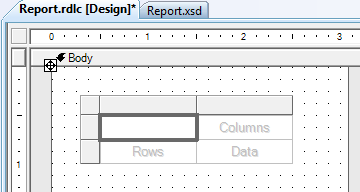 Once you have all the data you’ll want, make sure to save the report, then Create Layout Suggestion. Note: Consider adding the standard Page Headers here so Suggest Layout takes care of them for you. Our example plans to go to Excel, so no headers/footers are required. Once you see your suggested layout, you’ll wonder why we had you do that. Not sure why, but something happens in that sequence that links the DataSet to things behind the scenes. Without that step, we have not been able to get a Matrix to work correctly. Not much to look at, so let’s add some content. So, let’s review what we need to accomplish: We need Item Sales Quantity and Sales Amount by Customer and Item by Month and by Year. Hopefully you see how that equates out to 2 row groups (Customers and Items) and 2 column groups (Year and Month), with somehow 2 columns of data inside each. With both the Row and Column Groups, we always get one of each to start with, so we’ll focus on adding/setting the Row Groups first. Select your Item Number field from the list (your field names may vary based on how you set the DataSetFieldNames). Note: If you don’t see these fields, close up the Designer, close NAV, reopen NAV, reopen the report, delete the Layout, and redo Create Layout Suggestion. Right-click the field that is marked (1) in the picture above and select Edit Group. Change RowGroup1 to CustomerGroup for clarity. 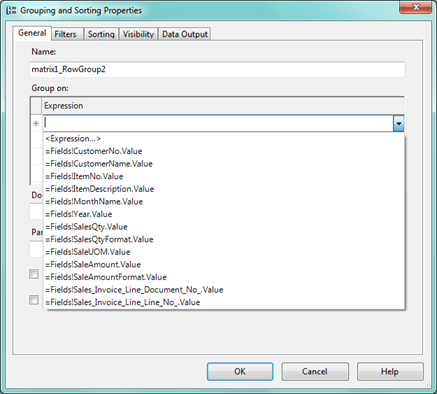 Set the Group On Expression to Customer No. 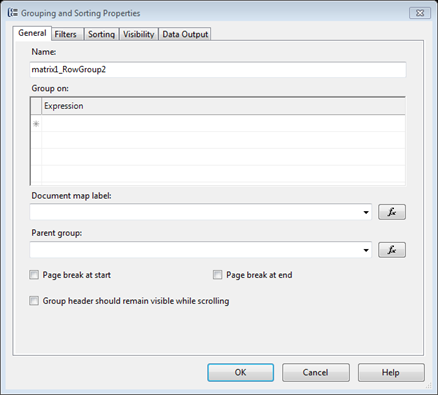 Right click on the Columns block and select Insert Group. Right click on the Columns block again and Edit Group. 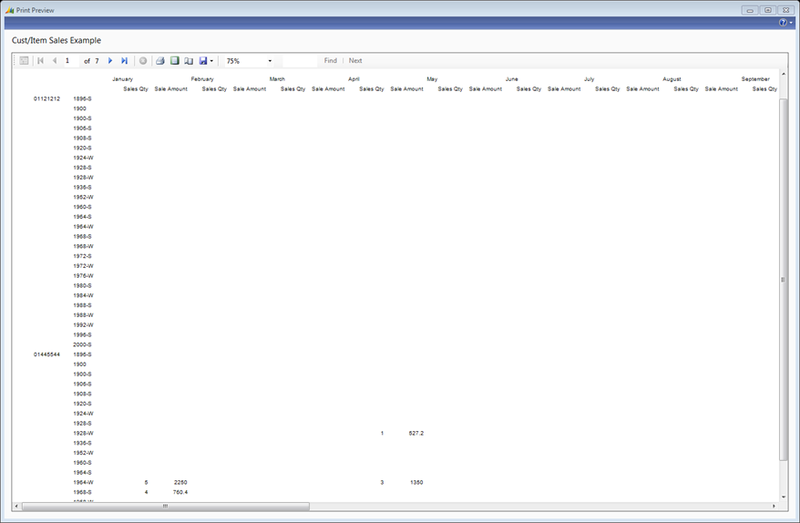 Note: It’s critical that those blank cells are below the Column Group headers. If not, delete the Matrix and start over. Note: This approach does not bring over the Multi-Language Captions from NAV to try to keep this overview short. Bear in mind your customer needs for multi-language support before you implement exactly as outlined. 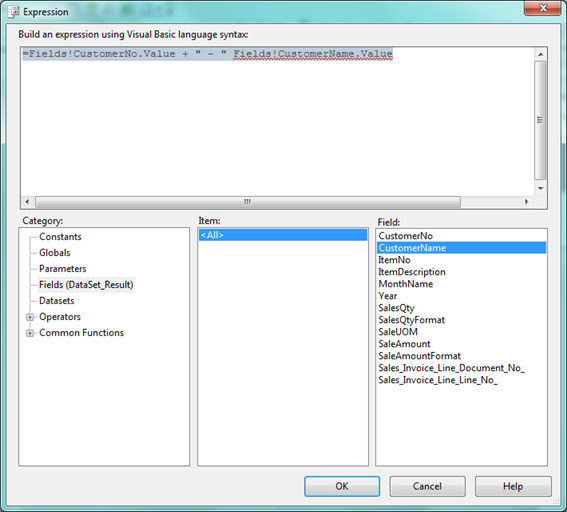 Note: This walkthrough also does not address properly formatting fields using the Format DataSet items, so make sure to bear that in mind as well. You can see it automatically took care of grouping our Customers and Items by Month and Year, with some data. Obviously, Items that weren’t sold to a given customer are adding a lot of blank space we don’t need. Thankfully, we don’t have to write any C/AL to SKIP records, we can control the Visibility of Group Rows. This may be a trifle confusing. While it’s talking about if it should be visible, it’s setting the Hidden property. In my case, if the Group’s SUM of SaleAmount is zero, then Hidden is TRUE. 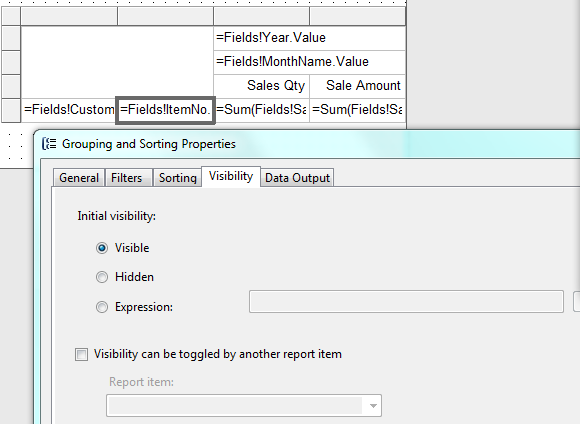 The same Visibility property can be set for any Row or Column Group. I’ll set it to my Customer Group as well, but not my Month/Year columns, as the customer wants them to show regardless. The customer wants there to be subtotals per Customer, a grand total per month, subtotals per year per item, and pretty much everything that can be totaled. Not a problem. Any or all of those can be powerful data elements to be able to include with two clicks each. You will want to update the Captions for each, likely, so users understand the data they’re totaling. This one is super easy, but not intuitive if you’re used to C/AL. Double-clicking on your Customer name under Fields will insert the right coding for it. Note: As you become more comfortable with the Designer, you do not need to open the Expression builder to enter these things, you can just type them right into Value. Click on the large empty cell in the Upper Left. Hold down Ctrl on your keyboard and select all the other fields. You can’t select the grey space, it will assume you mean the whole matrix control. Change the property BorderStyle from None to Solid. If you have already charged ahead and set the Total fields to Bold, you’ll have noticed that the labels were made bold, but the data was not. 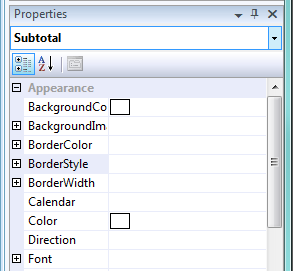 You can setup separate Borders and Font settings for the generate total cells. For example, you may want a BorderStyle Top set to Solid, a BorderWidth Top set to 2pt, and FontWeight set to Bold. This will great a strong visual cue that it’s a total row. Download the text object here. In closing, there’s always more you could do with a report like this, but hopefully we’ve whet your appetite for Matrix reports. 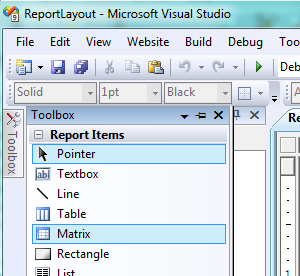 Featured Posts, NAV Development Classic vs RTC, Customer, Excel, Formatting, Item, Matrix, Report, Subtotal. permalink.